Company Name: Nippon Magnetic Dressing Co., Ltd. Since our establishment 65 years ago, Nippon Magnetic Dressing Co., Ltd. has been involved in natural resources development, the recycling business, and development of artificial resources. Our recycling technology, which is effective in improving the yield rate of steelmaking, has been appraised highly both within and outside of Japan, and our technology has been introduced mainly in major steel plants in some overseas countries, where iron and steel production is robust. The “Harada-style alternating magnetic separator” that our founder developed triggered our superior sorting techniques to be put out into the world, and based on this technique, we are expanding our non-ferrous recycling business and sales of various sorters inside and outside of Japan. 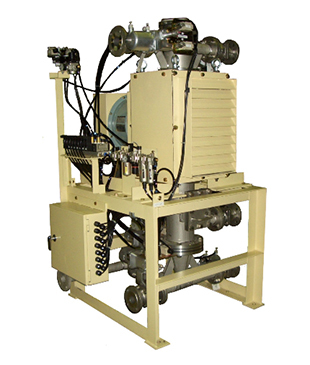 Ever since receiving a request to manufacture iron scrap separation equipment in 1949, we have a history of research sorting technologies for a period of 65 years. In addition to our slag recycling business and non-ferrous recycling business, we have come to sell these technologies (plants) within and outside of Japan. To support the effective use of slag that is produced at steel plants, we have an actual record of technological cooperation at steel plants in some overseas countries. We have an actual record of exporting recycling plants to the Philippines, Sri Lanka, Korea, China, and India. In recent years, we have been expanding our sales channels to various ASEAN countries. Nippon Magnetic Dressing has been the world leader in slag processing since 1955. Since the development of our exclusive technology, we have consistently produced high quality, value added products for all of the major Japanese integrated steel mills. Our processing technology is able to provide metal of substantially high quality. In addition to being a profitable adjunct to the steel mills, we can supply improved slag suitable for cement production, soil improvement and road construction material. Due to the exorbitant costs associated with separation and collection of composite and mixed non-ferrous metal products domestically, these are increasingly being sent abroad for processing, where there is more of a demand for such resources. Nippon Magnetic Dressing is working hard to establish a system of resource recycling to protect these precious domestic resources. Based on waste matter treatment technology fostered by the waste processing operations of the company’s production facilities, Nippon Magnetic Dressing is engaged in the development and sales of machinery and equipment to be used in environmental improvement efforts (most notably separating devices). 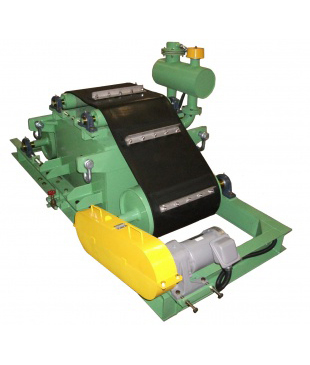 Nippon Magnetic Dressing is utilizing its crushing & separating processing technology fostered through its many years of slag processing to engineer devices that make resource recycling a reality. 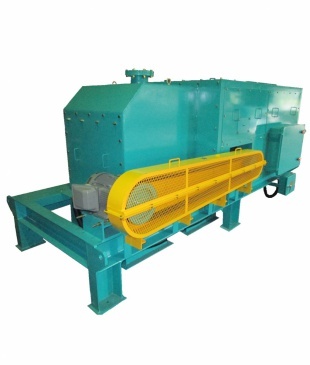 “Hanging-type iron scrap separator” that is adapted to sorting of construction waste, crushing waste, etc.